Digital Domain, one of the world’s largest and most innovative providers of visual effects and immersive experiences, has set up its state-of-the-art VFX studio in Hyderabad, India. 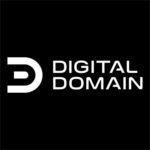 Digital Domain’s ground-breaking visual effects appear in films such as “Titanic,” “The Curious Case of Benjamin Button,” and recent blockbusters “Avengers: Infinity War”, “Ready Player One”, “Ant-Man and the Wasp” and “Thor: Rognarok”. Our artists have won more than 100 major awards, including Oscars, Clios, BAFTAs, and Cannes Lions. Support all day-to-day aspects of the IT infrastructure. Administration and troubleshooting of network, servers, workstations, storage, backups and render farm. Monitor and maintain systems to ensure maximum efficiency and uptime. Collaborate with the DD Technology team on technical requirements and standard practices. Interface with technology vendors and service providers. Provide general technical support to the Studio. Document and maintain installation and configuration procedures. Responsibilities sometimes require working evenings and weekends with little or no advanced notice. 3+ years experience in a large scale Linux computing environment, preferably in visual effects or animation. Experience with Microsoft and Apple operating systems in a networked environment. Familiar with information security practices and procedures. Must be an enthusiastic self-starter who works well in a distributed team environment. Ability to quickly assess complex problems and make critical decisions while under deadline. 3+ years work production experience in visual effects or feature animation required. College degree in film, art, communications or a related field and/or a combination of education and experience that would be equivalent to that level of professionalism, problem solving and analytical skills. 6+ years industry VFX Roto/Prep experience on International projects. Interested candidates can send their resumes & show reel links at ddindia_recruit@d2.com.